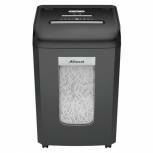 Fellowes 53C Cross-Cut Shredder 4653001 Pack of 1 Powershred 53C Cross Cut Shredder. Shreds 10 sheets per pass into 4 x 35mm particles. Auto start/stop. 220mm throat width. 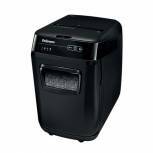 Accepts staples, credit cards, CDs and paper clips. Jam Blocker technology. 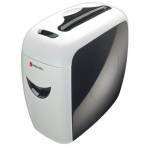 SafeSense technology. 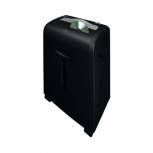 23 litre bin with lift off head. 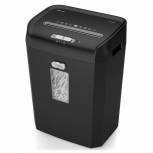 Rexel Promax REX823 Cross Cut Shredder Black 1758055A Pack of 1 Rexel Promax REX823 Cross Cut Shredder Black 1758055A 8 sheets per pass, 23 ltr waste bin compaction plate. 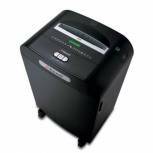 shreds staples /paperclips/credit cards syuitable for home small and medium business environments. 15 mins run time. 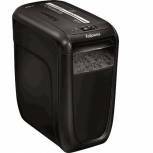 Fellowes 60Cs Cross-Cut Shredder 4606201 Pack of 1 Powershred 60Cs Cross Cut Shredder. Shreds 10 sheets per pass into 4 x 50mm particles. Auto start/stop. 230mm throat width. 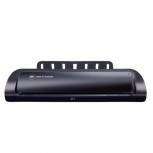 Accepts staples, credit cards and paper clips. Jam Blocker technology. 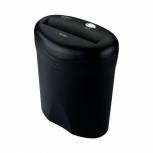 SafeSense technology. 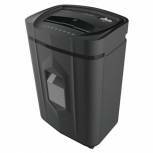 22 litre bin with lift off head. 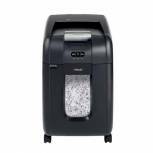 Rexel Auto+ 200X Cross Cut Shredder Black 2103175 Pack of 1 Rexel Auto+ 220 X Cross Cut Shredder. 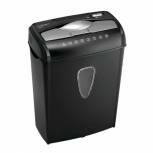 S3 security-level shredder with 175 sheet capacity, 34l bin capacity, automatic feed technology & 6 sheet manual feed slot. 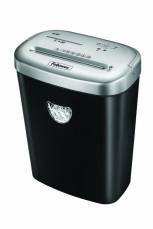 Also shreds CDs & credit cards, DVDS, paper clips, staples. Cut size: 4 x 45mm Confetti-cut. 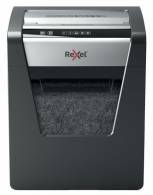 Rexel Prostyle Shredder Confetti-Cut With Large Pull out Bin 2101808 Pack of 1 Rexel Prostyle Cross Cut Shredder with 20 litre bin capacity. 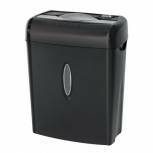 Shreds up to 11 sheets of paper into 4 x 35mm particles. 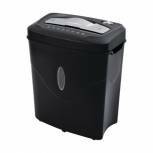 Bin window shows when bin needs emptying. 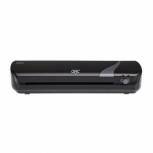 Features on, auto, off and reverse functions. 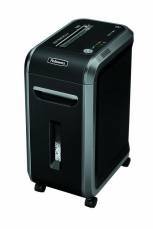 Also shreds credit cards. 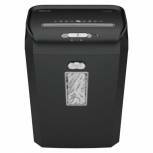 Rexel Promax RSS1838 Strip Cut Personal Shredder 2100888A Pack of 1 Suitable for small and medium sized businesses, this Rexel Promax RSS1838 shredder shreds up to 18 sheets of 80gsm paper into 6mm strips at a P-2 security level. 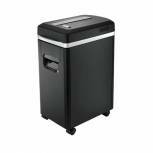 The shredder features an easy to empty 38 litre bin and will also shred staples, credit cards and CDs.